Three cheers for Coombe Road Primary School - Click on image to open a large version in a new window. 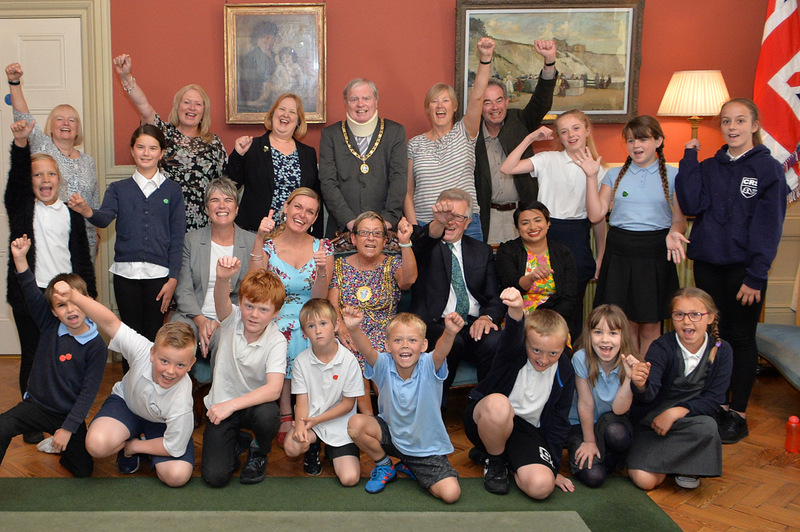 The Mayor of Brighton, Councillor Mo Marsh, is seen here in the Mayor’s parlour, with pupils and staff from Coombe Road Primary School, Moulsecoomb. They were celebrating being rated ‘good’ after a recent Ofsted inspection; the previous two inspections had rated the school as ‘requiring improvements’. The pupils very much enjoyed their celebratory tea of drinks, sweets, and chocolate with the Mayor.